A tooth that's been chipped doesn't mean it's no longer healthy. The same, unfortunately, can't be said about the attractiveness of your smile, especially if it's one of your front teeth. 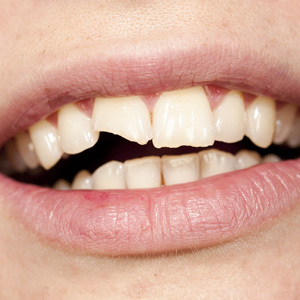 A chipped tooth can be quite noticeable and make you self-conscious. The good news is a chipped tooth can be restored cosmetically to look just as normal and attractive as your other teeth. Depending on the application there are two different materials we commonly use: porcelains, a type of oven-fired ceramic most often found in veneers or crowns; or composite resins, a mixture of glass and plastic substances we apply in liquid form that hardens in built-up layers on the tooth's surface to ultimately resemble normal tooth shape and color. So, which of these two materials is the best option for your tooth? That depends on the extent and location of the tooth damage. Composite resins are most often used for mild to moderate chipping or breaks in the enamel (and somewhat for the underlying dentin) or decayed areas in the front teeth. Porcelain veneers or crowns are better for more extensive damage or discoloration. Both materials have their advantages and disadvantages. Composite resins can be applied in one office visit, but they require a skillful technique and an artistic eye to achieve a life-like appearance; although their strength has improved over the years, they're also limited in their durability and longevity compared to porcelain. Porcelain, on the other hand, is quite durable and has an excellent tooth-like appearance; they do, however, require removal of more tooth material than a composite resin to accommodate the new veneer or crown, along with more than one visit and the services of a dental lab to create the restoration. 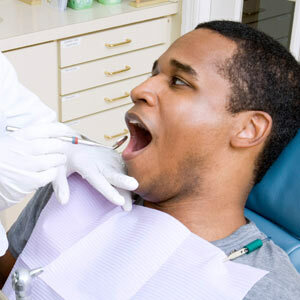 The best way to find out which option is best for you is to visit us for a thorough dental examination. From there we can review with you our findings, our recommendations and the costs associated with each option. But whichever material we use, porcelain or composite resins, you can look forward to a new smile you'll be proud to display.